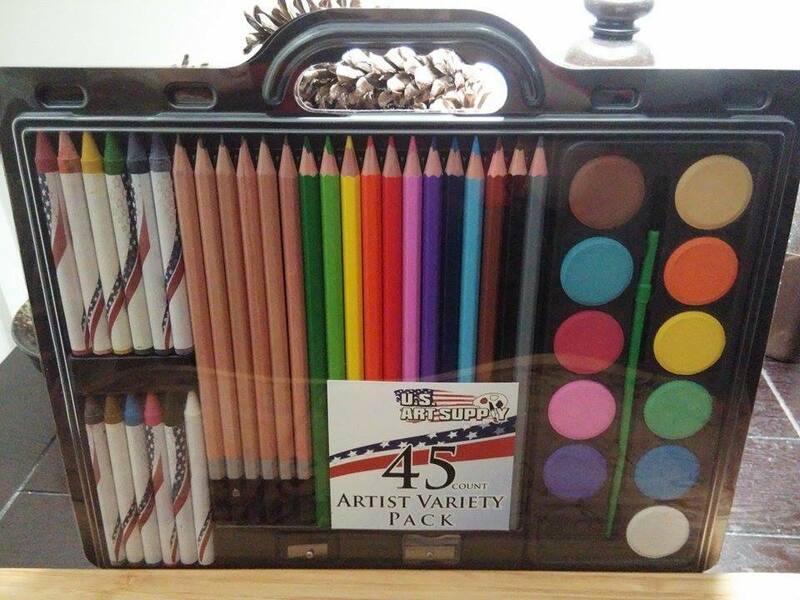 US Art Supply® Brand 45 Piece Art Set with Water Color Cakes * Now Includes a FREE Reusable Plastic Carry Case. 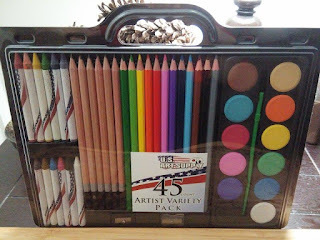 Having a house full of budding artists, I was happy to get this 45 piece Art Set with Water Color Cakes by US Art Supply Brand. 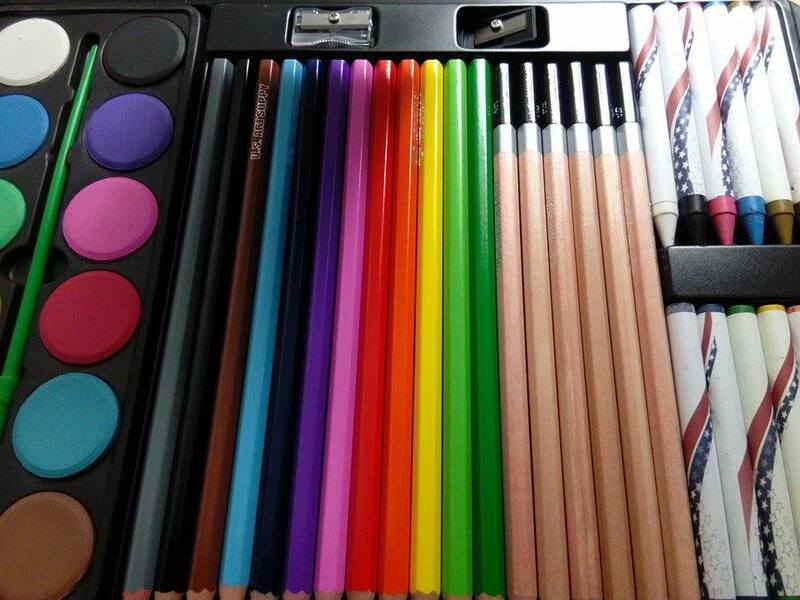 I like that it comes in this reusable case and everything is right at my fingertips, ready to use. 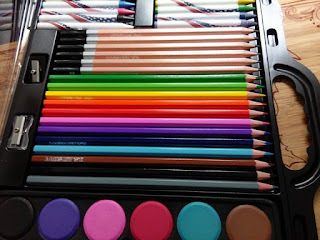 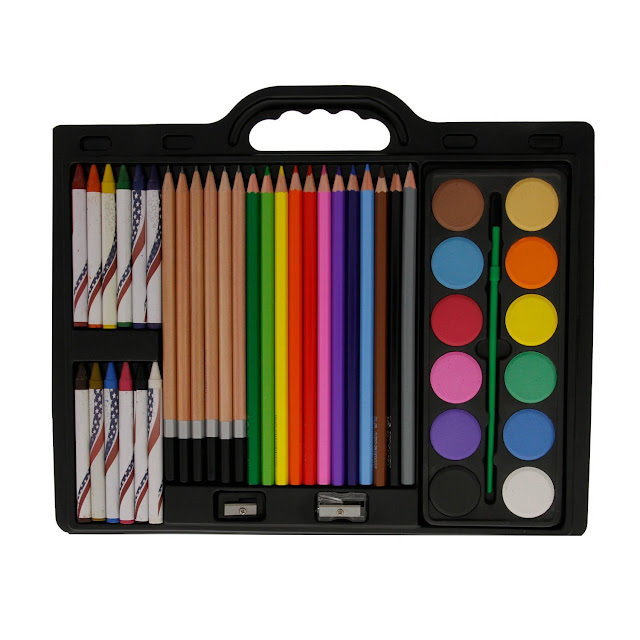 I like that this set includes, colored pencils, graphite pencils, colored crayons, watercolors, a paint brush and 2 pencil sharpeners. 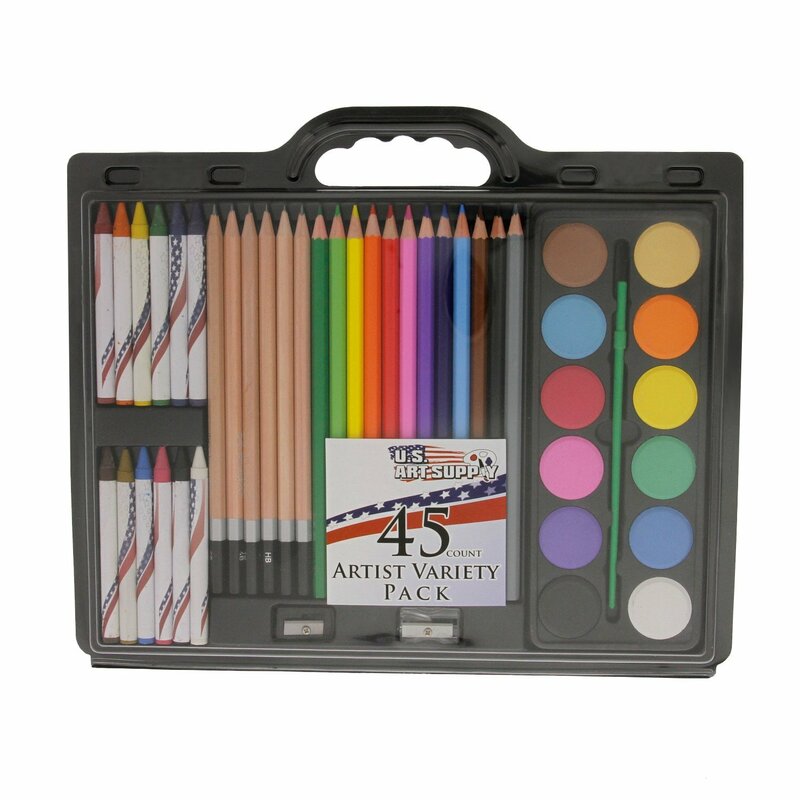 This keeps my family of artists busy and they can work on different projects at the same time. 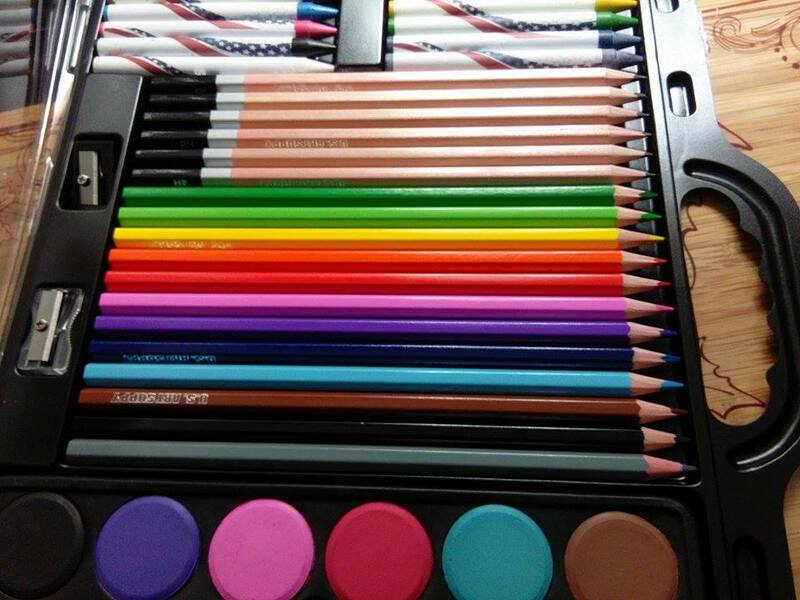 I do wish the case was more durable, it has cracked after a few uses. 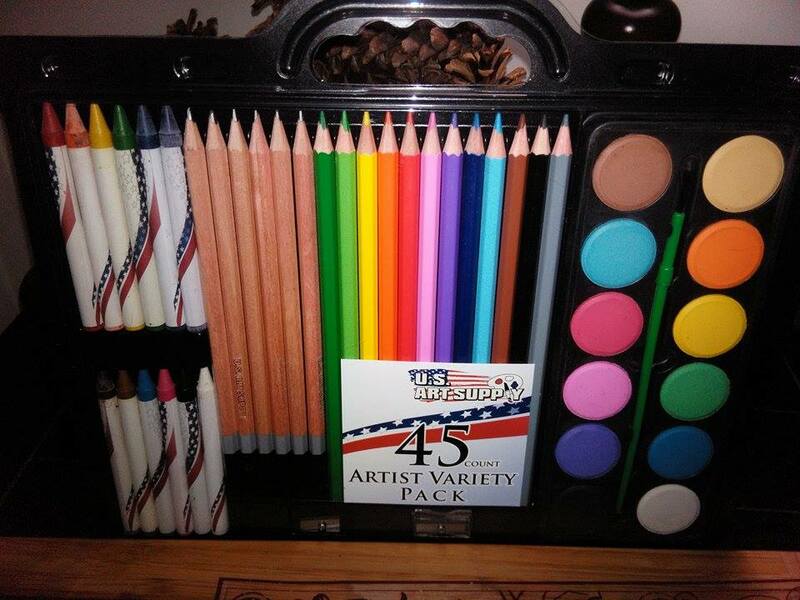 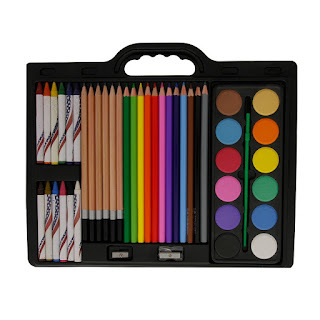 I think this art set would make a nice gift for artists of all ages and artistic levels. 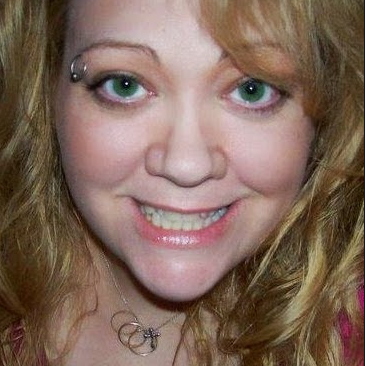 My family enjoys it and I think you will too!